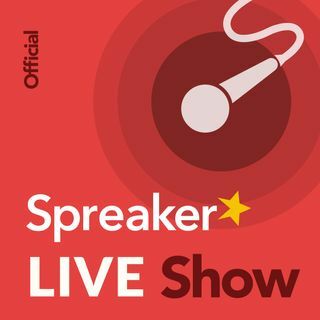 - Spreaker does fully support it, ... See More but I really dislike the Apple spec for it and how it displays the numbering, does not make logical sense to me, given history of the medium. Numbering from 1 (newest episode) to let’s say 151 (oldest episode), may seem right on the surface, but showing 151 as newest and 1 as oldest makes better sense as it has always been done like that in podcasting. - Is Podcast Category Targeting Important? Is Podcast Category Targeting Important? I tracked Apple’s Top 200 Podcasts for an entire year. Here’s what I found. In early 2017, a colleague and Dan Misener, Head of Audience Development, Pacific Content were discussing an upcoming podcast launch, debating which of Apple’s categories was the best fit: Business? Technology? Society & Culture? Which of Apple’s categories was most appropriate, and would give the show its best chance of being discovered? Episodes that go to Facebook, Twitter and SoundCloud for me have always looked good. When we used to share to You Tube it looked bad, so I really believe it is a You Tube problem. We included the sounds of eating as part of a couple comedy sketches. VidLii is free to sign up and host videos, but you are limited on resolution, 1 G.B. in size and 15 minutes in length. My channels on VidLii are video pod-casts. Tunein is a good place to submit your podcast to. I wish Pandora would accept podcasts. Porch Light Family Media is great content. Many podcasters could fix their editing issues in real time by learning the craft of talking. I watch local news, Weather Channel shows and movies on Dish Network. I have let go of watching any serial television series. I check everyone I follow when I can and listen to what I have not heard before, so I look at date as much as title. Thanks TPB for joining us today! Thank you for join us Live today!!! !